My guess is that most other bloggers would write something about Hyouka or Nisemonogatari for their final post. Whilst I appreciate the desire to talk about Hyouka and I refuse to write about the toothbrush scene from Nisemonogatari, there was one arc of a story that a majority of people missed. 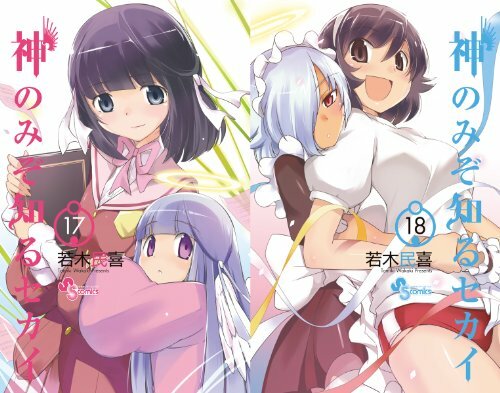 It’s the one I’ve mentioned so many times that even I’m sick of referencing it: The World God Only Knows‘ goddess arc. After reading through a couple more conquering arcs, I felt that KamiNomi had began to stagnate. More of the same was fine, but there was only so much time you can use that for before people start dropping the series. Then out of nowhere came the goddess arc. An arc as well planned out as this just doesn’t come about very often. Starting from as long ago as the Tenri arc (chapters 57-65), then skipping to the actual start of the goddess arc (chapter 114) and finally concluding with one of the most emotional moments in any romance series ever (chapter 189). I don’t over-exaggerate when I say that this is possibly one of the best arc/saga’s in manga period. The amount of foreshadowing beforehand followed by the actual arc was pure bliss and made KamiNomi one of my 2 most anticipated manga on a weekly basis for 2012. The other was Bakuman. Thus concludes my 12 Days of Anime. Hope you’ve enjoyed this and now I’ll go back to readying my end of year posts to bombard you with in a day or two. The picture of the maid what is she from?